The Sedona Real Market got off to a relatively slow start in the 1st Quarter of 2014. This year it’s not all that much different. Sales of Single Family Homes were just about the same in 1st Quarter 2015. Prices, however, are up some, year over year. The Median Recorded Selling Price was about 2.5% ahead of last year at the end of the quarter. The Average Price per Square Foot of the homes that sold, though, was tad stronger, up about 3.5%. The slow 1st Quarter sales numbers reflect an unusually low level of buyer activity in December through February. Whether that was due the weather in the rest of the country or buyer nervousness about the general economy or some other “X Factor” is hard to say. But, more recently, we have seen an up-tick in buyers visiting, particularly from Mid-western and Northeastern folks who are really fed up with the soul-numbing severity of winters back in “The Old Country.” Remember that it takes a month or two before that activity shows up in the Closed Sales column. With things picking up in March and April, we can expect to see, as we did last year, a healthy spring market bump in the weeks ahead. Meanwhile, though, sellers will be disappointed in the Days On Market figure for homes sold in the 1st Quarter of this year. Surprisingly, that leaped to about 285 days, versus 178 in 1st Quarter 2014. And, the Sale-to-List Price Ratio dropped back to 96% from 97%. That means that Sedona Single Family Homes have been selling at an average of 96% of their final list price so far this year. One bright spot for sellers is the Luxury Home Market, where closed and pending sales are already well ahead of a strong showing in 2104 and inventory is down about 9%. Another is the Condominium/Townhome Sector. Sales there are up about 10% over 2014. The Average Price per Square Foot is up 4%, finally breaking the $200 mark. And, the Sale-to List-Price Ratio there is 97%. Beyond residences, after a very strong showing in the first half of 2014, the Vacant Land Market is still in something of a stall. Closed and pending sales so far this year have trailed early 2014 a bit, but the Median Recorded Selling Price has taken roughly a 15% hit. Again, I expect to see that gain some momentum as the year goes on – and, certainly, in the long run – but, so far, we’ve seen a pretty anemic start in the land Sector. The continued disappearing act performed by distressed properties, however, is an excellent indicator of a healthful market in general. The decline in the inventory and sales numbers of foreclosed and short-sale properties has been dramatic in the past two years. In 2014, 93% of the sales were made up of non-distressed homes, up from 82% in 2013. So far this year, it’s 95%, and likely to go higher. The percentage of distressed homes in the active inventory is down to about 1%. We will always have, like unemployment, some distressed properties with us, but it appears now that we’re back to a more normal margin. Over-all, slow start or not, we have a fairly well balanced real estate market that appears poised for long-term sustainable growth. 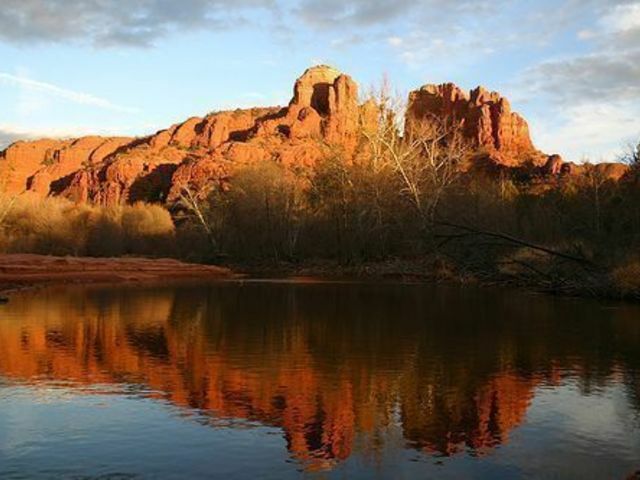 Overall, a good year for the Sedona Real Estate market. With the continuing disappearance of distressed properties, reasonably strong sales, and generally rising prices the market is certainly healthier than it’s been in nearly a decade. Although the 392 Single-Family-Home sales in 2014 was a bit of a decline, 4.6% from 2013’s sterling 411, their Median Recorded Selling Price increased 8.2% from $395,000 to $427,500. That’s 22% up from the market’s price bottom in 2011. We’re still 27.5% below the record, $590,000, set in 2006, but gaining ground. The Average-Cost-Per-Square-Foot of those sold homes increased 4.4% from $206 in 2013 to $215 in 2014. The underlying health of the market is reflected by distressed property sales becoming pretty much of a non-factor. Among Single-Family Residence sales, 3.5% were REO’s (foreclosures) and 1.25% were short-sales. In the current Active Inventory, there are two REO’s and one short-sale. Never, since distressed property statistics began being reported in late 2008, have we seen such low numbers. In any case, their impact on the general market is now negligible. The star of the housing show in 2013 was the Luxury Home Market with a 29% jump in sales over 2012, the strongest showing since 2007. Turns out that 2014 kept that streak going with the same number of sales for homes over million dollars – thirty-one. Despite robust sales in that sector, prices have stayed relatively low over the past six years. The Average $/sq.ft. in 2014, $323, was actually down about 6% from 2013’s $345. That’s an indication that some of the best value propositions are among luxury homes. After a promising start in early 2014, the Vacant Land Market wound up plateauing more-or-less at 2013 levels. Sales this past year were only 4% ahead of 2013 and the MRSP slipped a tad, 1.5%, to $155,000. That’s still a 28% improvement over the land sector’s bottom of $121,500 in 2012, but a far-cry from 2006’s $519,000. So, a buying opportunity there. The land market has pretty well shaken out the distressed parcels; foreclosures now comprise less than 1% of the inventory. Another positive sign is that we saw an uptick in sales of luxury lots, though not enough to push the MRSP into positive territory. For the long-term, though, it’s prudent to think of land inventory as an ever-diminishing, non-renewable supply. Its increasing scarcity in the next few years will push prices up sharply for both homes and land. The Sedona Condo/Townhome Market, for a change, followed the pattern set by Single-Family-Residences. Sales were down 6% in 2014, but prices were up. The MRSP rose 13.5% to $240,000 and $/sq.ft. climbed 8% to $190. Finally, in the “Location. Location, Location” category, The 2014 Average $/sq.ft. 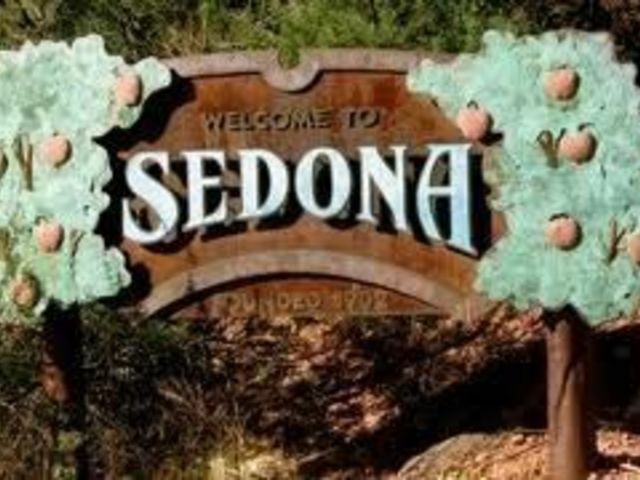 for Single-Family-Homes sold in the City of Sedona was $223. In the Village of Oak Creek it was $203, roughly 10% less. The trends we’ve seen since mid-year continue. Single Family Residence sales are off about 4% from this time last year, but their Median Recorded Sales Price is up 7.7%. Average cost per square foot, though is up a more modest 4.4%. All of that price rise has occurred since June. Distressed properties continue to be less and less of a market factor – less than 1% of the active home listings, with only one REO (foreclosure) currently. The luxury home market ($1 million and up) has caught up with 2013’s banner year of sales and will likely exceed it by year’s end. Prices, though, are about 7.5% lower on a $/sq.ft. basis. Then, again the average size of the luxury homes sold is 11.5% larger. The larger the home, the lower the $/sq.ft. tends to be. So, let’s call it a wash. In any case, that luxury end of the market appears to be resisting significant price increases, making those homes something of a bargain. Vacant land, however, is static. Sales and prices pretty much the same as last year. That said, for the long term, expect prices across all sectors to produce an inexorable steady climb. The Law of Supply and Demand does, indeed dictate significant value appreciation across the board in the Sedona area. Surrounded as we are National Forest saleable vacant land is an ever-diminishing, non-renewable resource. Prices have to go up as the supply goes down. And, the supply of buildable land will continue to diminish. For those of us who rode the wild mare of a market up the 2005-2006 mountain in crazy price leaps and bounds and then off the precipice, market stability is a welcome state of being. Sure, we home-owners would love to regain the equity we once had in the high times. And, we will, eventually. But, a sure and steady pace is critical to market sustainability. As is excising the malignancy that undermines strong market health: foreclosures (REO’s) and short-sales. Having sufficiently mixed my metaphors, I am happy to report that the Sedona real estate market is making headway on all fronts. Comparing 3rd Quarter 2013 figures with this year’s, the prognosis is good. The number of Single Family Residence sales is down 5% from last year. But, at the end of August we were off 10%. So, we are seeing something of the fall season rally that we had hoped for. With sales down one might expect that prices would follow suit. Au contraire, the Median Recorded Sales Price for those homes (about $424,000) is up 5% over 3rd Quarter 2103, as is the Average Price per Square Foot (about $214). By far, that’s the strongest showing we’ve seen since 2008, but considerably off the peak figures in 2006 of $600,000 and $313 per square foot. The best news for sellers, though, is that the distressed property segment has become more of a footnote than a market presence. At this point last year, 16% of the Solds were either REO’s or short-sales. So far, this year it’s been steady at 5%. Among the active listings there are merely two REO’s and one short-sale; 1% of the total listings. The Luxury Home sector is seeing a nice rally. It’s neck and neck with last year’s remarkable showing. Sales over $1 million in both 2013 and 2014 are the best since 2007. The good news for buyers, though, is that the average Price per Square Foot for these homes is off last year’s by roughly 10%. Even that, however, is beginning to rise. After a remarkable flurry of activity and rising prices in the first third of this year, Vacant Land sales have settled down. The number of lots sold is still about 12% ahead of the 2013 returns. Prices, though, are not much above 2103’s $150,000 Median Recorded Sales Price. Distressed properties accounted for roughly 6% of the sales, but have virtually disappeared from the active inventory recently. As we saw in the residential sector, they comprise only 1% of the listings. That’s a game changer for future sales. Expect prices to resume a steady, long-term climb. That can be said for Sedona real estate in general. 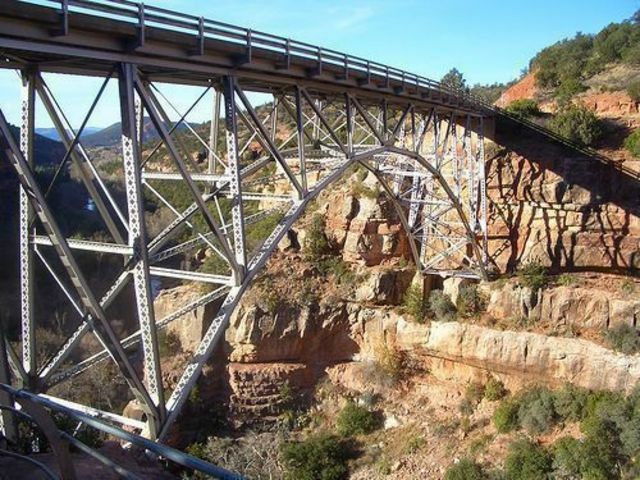 Barring future economic catastrophes, the Law of Supply and Demand does, indeed dictate significant value appreciation across the board in the Sedona area. Surrounded as we are National Forest saleable vacant land is an ever-diminishing, non-renewable resource. Prices have to go up as the supply goes down. In a nutshell, we have had a very stable and increasing healthy Sedona real estate market for the past year, but there has been a recent modest price surge. Single Family Home sales numbers were at last year’s levels going into May. They’ve since dropped a bit – down 7%. Some of that I attribute to the fire. Their Median Recorded Sales Price was $400,000 at the end of May, compared with $405,000 last year. In the past three weeks, however, that MRSP has popped up to $419,000 for the year thus far; a 3.5% increase. On an Average Price/Square Foot basis, though, we’re up 5.5% , from $201 to $212. I do expect that to climb, though not as precipitously, as the economy continues to improve. A good indicator of the market’s health is that, so far this year, 95% of the home sales are in the non-distressed category – that is, not foreclosures or short-sales. Last year that figure was 80%. The long suffering Vacant Land market is showing some vitality as well. Sales numbers are up over last year’s strong showing and the Median Recorded Sales Price is currently $162,500, up 20% from 2013’s $135,000 with 16% more sales. And, the “bump” goes on… By the end of April, the Single Family Residence 2014 sales stats had caught up with 2013. Dead even. The price anomaly persists. The Median Recorded Selling Price gap is closing. It’s $395,000 right now versus $399,000 in 2013. But, the Average Price Per Square Foot is $212 currently compared with $200 last year at this point; up 6%. The luxury home market also started off the year more slowly than in 2013 and it, too has now drawn even with last year’s sales numbers, though prices are down about 4%. As we saw last month, vacant land is the hot sector so far this year. Sales are up 10% over 2013’s strong relatively strong numbers and prices are up about 32%. Our 1st Quarter Update (below) noted that Sedona real estate market conditions had a slow start this year, but we were expecting a significant Spring “bump.” Late March and April home sales have, indeed, been brisk and 2014 is gaining on 2013’s record-setting pace. For the 1st Quarter, 2014 was behind 2013 in sales by 17%. At this point in April that differential is down to 9%. The comparative price metrics of the Sedona real estate market remain a bit strange and self-contradictory. The Median Recorded Selling Price for Single Family Homes was $427,000 at this point in 2013 and the Average Price Per Square Foot was $198. By mid-year the MRSP had settled down to about $400,000 and the Avg. $/Sq.Ft rose to $204. Both then proceeded to stay at roughly those levels for the rest of the year. Right now the MRSP is only $380,000, 11% below 2013, but the $/Sq.Ft. is $208, 5% above 2013. However, you slice it, we’re not currently seeing the sort of rapid price run up we saw at this point last year. In fact, the Sedona real estate market has been remarkably stable since Mid-2013. That’s welcome news for Sedona real estate buyers along with an impressive 23% increase in housing inventory up from 256 last year to 316 now. So, more choice and still relatively low prices. The big story right now in the Sedona real estate market is the mini-boom in vacant land sales – about 30% ahead of the last two years and, by far, the highest number since 2006. Prices, having bottomed out in 2013, are up over 30%. Right now the MRSP for vacant land is about $170,000. So, that long suffering Sedona Land Market sector is looking more robust than it has in the past seven years. So, with the Sedona Land Sector gaining strength and housing remaining stable, the overall picture of the Sedona Real Estate Market is healthy and relatively balanced. At the moment, I’d say that it still favors buyers over sellers, to some degree. Sedona real estate market conditions got off to a running thunk in the 1st Quarter of 2014. Sales of Single Family Residences was down about 16% compared to 1st Quarter 2013. Prices, too, took something of a hit. The Median Recorded Selling Price dropped over 10% between the two periods. But, if we look at the Average Price per Square Foot of the homes that sold, that figure has been quite stable for the past year at roughly $204, even though it stood at $198 for 2013’s 1st Quarter, at the same time the MRSP was at record levels for the past four years. That discrepancy is an anomaly that we’ll take up another time (see below). Suffice to say now that underlying prices have been relatively flat from the late spring of 2013 to the start of spring this year. As for the slow Sedona real estate sales numbers so far in 2014, it almost seemed that buyers in the rest of the country were hunkering down in the Igloos of Madison County in January and February and finally started hacking their way out of the ice in March. That’s when the pace of buying activity, prices, and Pending Sales began to pick up in earnest. It’s clear that we’re now getting the expected spring market bump that will keep us on track for a steady, if undramatic, increase in sales and valuation – nothing like the flamboyance we saw in the first half of 2013. That’s a good thing. An excellent indicator of a healthy Sedona real estate market is the dramatic decline in the inventory and sales numbers of foreclosed and short-sale properties. Last year 82% of the sales were made up of non-distressed homes. So far this year it’s 93%. As for the housing inventory, 5.5% were distressed properties in 2013. In 2014 it’s 1.6%. Pretty impressive improvement. Sellers expecting a bull market for Sedona real estate this year have a right to be disappointed in the anemic start of the year, but they can take solace in what could be viewed as a well-paced, non-volatile, and stable market. And, they should be happy with two more positive indicators. The Cumulative Days on Market for homes sold in the 1st Quarter of 2013 was 282 days. So far in 2014, it’s 179 days. The ratio of the selling price of those homes compared with the list price is also improving. In 2013 it was 96%. In 2014 it’s 97% – the highest it’s been since 2006. The take-away here for sellers is that well-priced homes do sell and sell for closer to the list price. For buyers, the good news is the 20% increase in the inventory of homes. That means more choice and more competition to keep prices from running away. Beyond Single Family Residences, the Sedona Vacant Land Market is perking along nicely at the same sales pace as last year, but with prices up about 8%. Among Condominium/Townhomes, always the contrarian sector of the Sedona real estate market, is similarly on 2013’s relatively fast pace with the MRSP up over 7% and the Cost per Square Foot up 12.5%. Over all, we seem to have a fairly well balanced real estate market that appears poised for sustainable growth without getting out-of-whack. In December of 2012, the MRSP stood at $345,000. A year later is was $395,000. That 13% increase is a solid indication of an increasingly healthy market, but it does not mean that the value of any given home has appreciated by that figure. The median certainly does reflect real valuation, but it also comprises the price mix of what is currently selling. Two or three years ago, when nearly half of the home sales were distressed properties – foreclosures and short-sales – the volume of lower priced houses pulled the overall median down. Now, less than 2% of the inventory and 7% of the sales are made up of distressed properties. Luxury home sales are more robust than they’ve been since 2007. That gives us an exaggerated boost in the MRSP. By how much? Hard to say, but I would tend to trim that figure in at least half to estimate an actual value appreciation. The Average Cost per square Foot appears to be a more reliable and stable metric – especially until we have a larger sample of sales. One positive trend for buyers is that we are seeing an upswing in inventory. It had hit 2005 levels early in 2013. Now, we’re about 20% ahead of that. There is a lot of pent-up Supply to match the pent-up Demand. As prices trend up more sellers are returning to the market. And, builders are now making their presence felt with new “Spec Homes.” That gives buyers some extra, welcomed, high quality choices. Again, an indication of a healthier market. 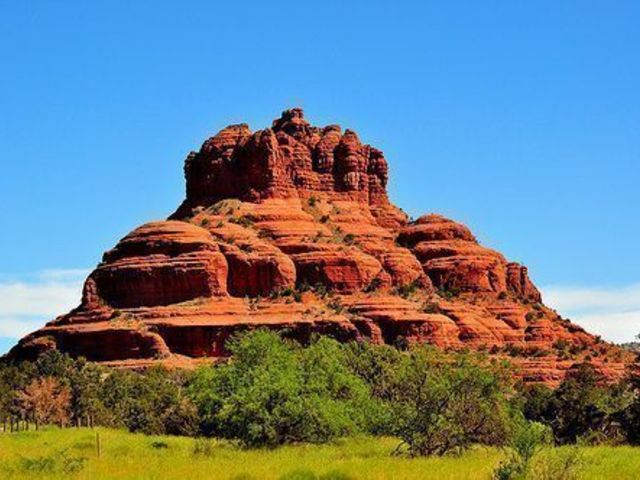 Sedona AZ Single Family Homes: In a nutshell, the Sedona real estate market is teetering between being a Buyer’s market and a Seller’s market. Prices are still relatively low compared with where they’ve been in the past and where they’re headed in the future. But, it’s obvious that we’re well past The Bottom. In 2013 that momentum continued with a 1st Quarter MRSP of $427,000. At Mid-Year, 2013, the MRSP settled back to a more sustainable $399,000 and pretty stayed there through the rest of the year and closed it at $395,000. So far in 2014, the MRSP are are still in that range, but recent activity has been strong and the price levels of the properties Pending Sale are up sharply. The apex of the Single Family Residence price curve was over $600,000 in 2006. My prediction, based on Sedona’s distinctive market fundamentals – Supply and Demand, is that we will be approaching those levels again before the end of this decade. For Sedona Luxury Homes – above $1 million – 2013 was their best year since 2007. Thirty-one sold. Prices in 2013 were up about 5% from 2012, but down 2.5% from 2011, unlike the general housing market’s sharp uptick since then. In 2014, luxury homes sales have been off to a bit slower slow start with 13 sold by 21 June this year versus 17 sold last year. But, the Avg. Price/Square Foot is actually down 9% to $306 versus $325 last year at this point. Sedona Townhomes & Condominiums have been popular here, historically, because a large percentage of our buyers purchase second homes and condos are ideal for that. From 2007 through 2011 that was even more depressed than Single Family Homes. but in 2012 that popularity returned with a bang. Twice as many condo/townhomes were sold in 2012 than in 2011. 2013, though, was not as strong either in sales numbers or prices. Currently the Median Recorded Selling Price is roughly $230,000, way down from $411,000 in 2006, but above 2012’s $221,000 and 2013’s $215,000. On a Price Per square Foot basis, 2014 is up 12.5% from $176 to $198. 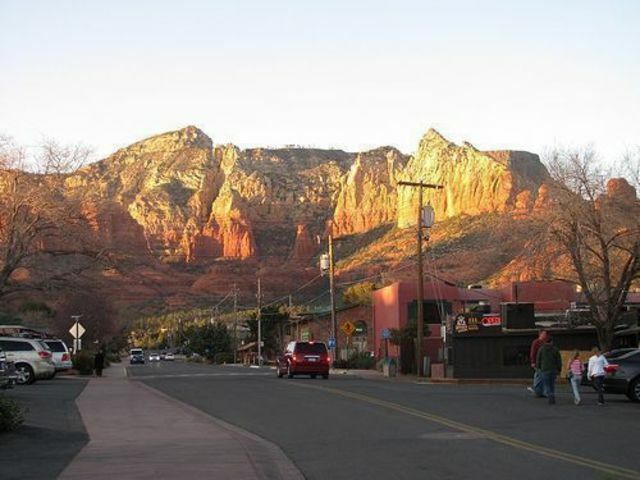 Sedona AZ Vacant Residential Lots appreciated at an average annualized rate of 21% a year between 1996 and 2006. The median price soared to over $520,000 in 2006, but that started coming back to earth in the first half of 2007. That figure stands at $179,500 for 2014, up from 2013’s $157,500. Land sales were up over 30% in 2012 compared with 2011. 2013 was 6% stronger and exceeded 2006 levels. 2014 is on at least that pace. As that market shakes off the doldrums and the foreclosure inventory, we’ll see prices continue to shoot up there as well. Meanwhile, we are still seeing luxury lots selling for a third to half of the prices they fetched in 2006 and 2007. While prices remain relatively low for the time being, the pendulum has clearly swung back toward the Sedona real estate Seller. We still have a Buyer’s Market with regard to prices, which are, currently, more like 2004. But there are definite signs of a major shift. Inventories of homes and land peaked in 2008, but have dropped dramatically since. There were 598 Single Family Homes on the market in 2008; In January of 2013 there were 222 and 243 in July. Compare that to the end of 2005: 245. Fortunately for buyers, the inventory expanded in the the fall, with 255 in December and 300 in March 2014. The number of homes sold in 2012 and in 2013 well exceeds the level in 2006. Even with supply down and demand strong, prices didn’t move up strongly until late 2012, thanks to the earlier impact of foreclosures on the market. That lessened in 2011 and was way down in 2012 and even more so in 2013. In 2014 distressed sales make a neglible part of the market. In 2010 foreclosures (aka, REO’s) represented 33% of single family home sales. In 2012 was figure was 15%. Right now (March 2014) it’s 5.5%. At any given moment in 2010 there would have been 28-30 REO homes on the market. In 2012 that figure was down to 11. Now it’s 4. We’ve seen a similar trend with Short-sales as well – actually even more dramatic; only one short-slae so far in 2014. Reduced competition from the receding number of distressed properties on the market has finally allowed overall prices to rise. Longterm, I think that we can expect a hyperbolic market ahead for at least another decade or two based on Baby Boom deomgraphics and our local market fundamentals, very limited supply and strong demand. Prices will go sky high within this decade and stay there. Right now is probably the buyer’s best opportunity to get in with the expectation of phenomenal capital gain. So what generally drives the Sedona real estate market in the long-term? Economics 101, Supply and Demand theory in action. Sedona AZ is an island of private land surrounded by National Forest and the supply is shrinking inevitably. Demand is being pushed by the demographics of the Baby Boom. The majority of our clients these days are Boomers in their 50s and 60’s. They’re buying land and second homes with an eye toward retirement in a few years or now. The “forty some-things” are just starting to appear. This demographic phenomenon is likely to continue for another couple of decades, ultimately pushing prices to unimaginable heights as the supply of land runs out. In areas such as Lake Montezuma , Oak Creek Valley , Camp Verde , Cornville, and Cottonwood , home prices are significantly lower and $200,000 (the median price of a home there is $152,000 – up from $138,000 in 2012) will still buy a nice house. The median sales price of a single family house in the rest of the Verde Valley is considerably less than half of that in Sedona. 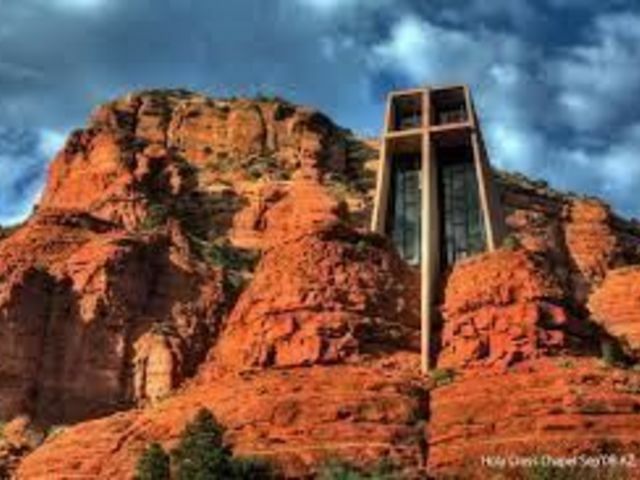 Of course, you sacrifice the dramatic red rock views and ambiance of Sedona, but it does make economic sense and there are some spots with dramatic settings of their own, all within twenty or thirty minutes of Sedona. Many people, understandably, prefer some of the delightfully green hidden valley spots along Oak Creek or the Verde River with their big trees and sounds of gurgling water although water-front property can also get very expensive. In fact, a housing construction boom occurred in the Verde Valley in the first half of the decade with so many people wanting the beauty, climate, and lifestyle here without the Sedona prices. A good example of this is the rather large, but tasteful, development called Verde Santa Fe being built around the golf course near Cornville between Sedona and Cottonwood. From there it’s less than a 15 minute drive into Sedona and five minutes to the Walmart in Cottonwood. A modern southwestern style house or townhome with views of the mountains can be purchased on or near the golf course at a cost ranging from about $200,000 to over $400,000. Presently there is an abundance of supply there with both resales and the last of the new construction. I think they’re an excellent value if you enjoy a Phoenix style community with a clubhouse and golfing. Remember that it is just as important for you to have buyer broker representation at new home developments and with “spec house” builders as it is on home re-sales. 27 miles to the north of Sedona is Flagstaff. In spite of its proximity, it’s a world away; as different from Sedona as is Phoenix on the opposite extreme. At 7,000 feet, it’s an alpine climate with real winter and a decent ski area. The median price of a home there is well below Sedona’s, so there’s more bang for your buck and lots of pine trees if you don’t mind snow. If you’d like to explore that option, visit our Flagstaff real estate site at: www.flagstaffbuyerbrokers.com. For clients interested in these alternatives, we can find you the best buys, in the nicest locations throughout the Verde Valley and Flagstaff.. Give us a call at (928) 300-0690 or email us at: [email protected] We will send you full reports and be your guide to the Verde Valley and/or Flagstaff.